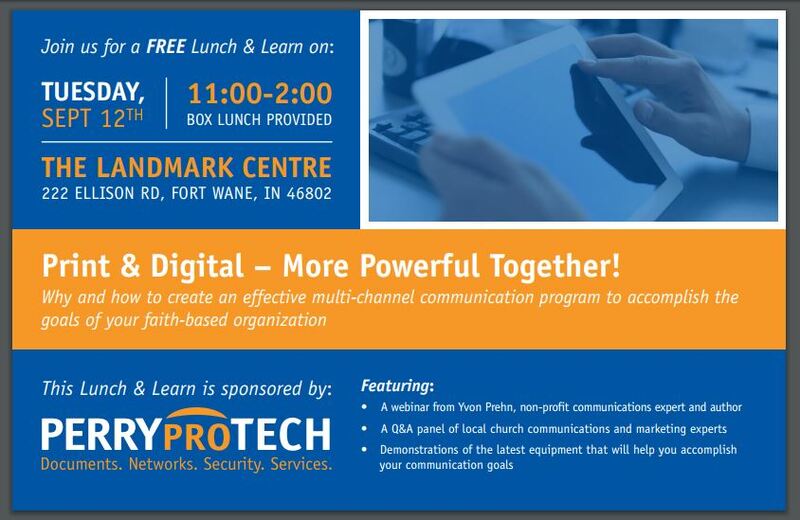 I did lots of seminars in the wonderful town of South Bend Indiana and here is a great idea for a Lunch & Learn from them. When I was traveling and teaching seminars for churches, I remember many, many trips to South Bend, Indiana for the seminars. Not only do I remember the great people in them, but I also remember what a challenge it was to get there because at the time, you often couldn’t get a connection flight from the Chicago airport, so you had to take a bus (2-4 hours depending if you were able to catch the express or not). That made arrivals interesting, especially when Norte Dame had a big weekend. Hotels did not like to hold rooms and I was often a very late arrival. My most memorable of the assorted confrontations I had late at night to get my room was once when absolutely no rooms were available and there didn’t appear to be anywhere to send me. At about 2am in the morning, I told them I didn’t care what they did with me, just let me plop on any horizontal surface. I got a couch in a breakout room and slept like a log. The seminar the next day knew nothing about this (don’t ever let them see you sweat—not their problem how I got there, was always my motto), but it did make for an interesting memory. He told me he loved the topic and he was also going to get a mini-panel together to provide additional input after the webinar presentation. I thought that was a great idea. 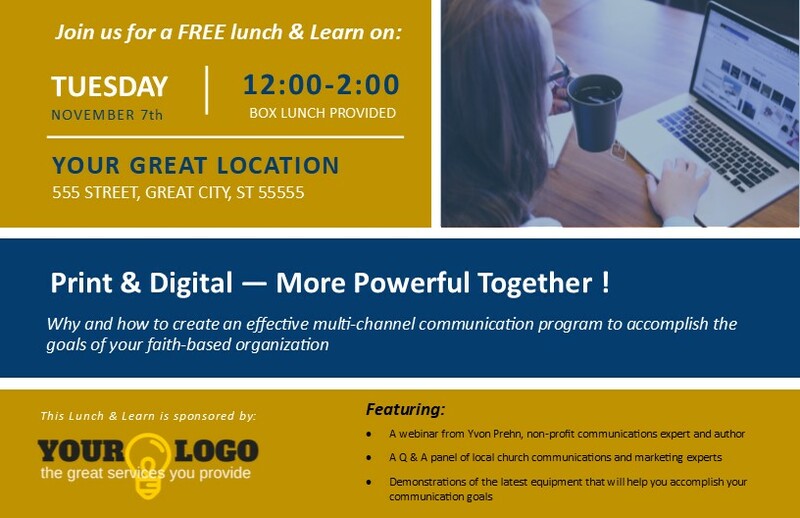 He was also expanding the audience for the Lunch and Learn from only churches to all faith-based organizations. 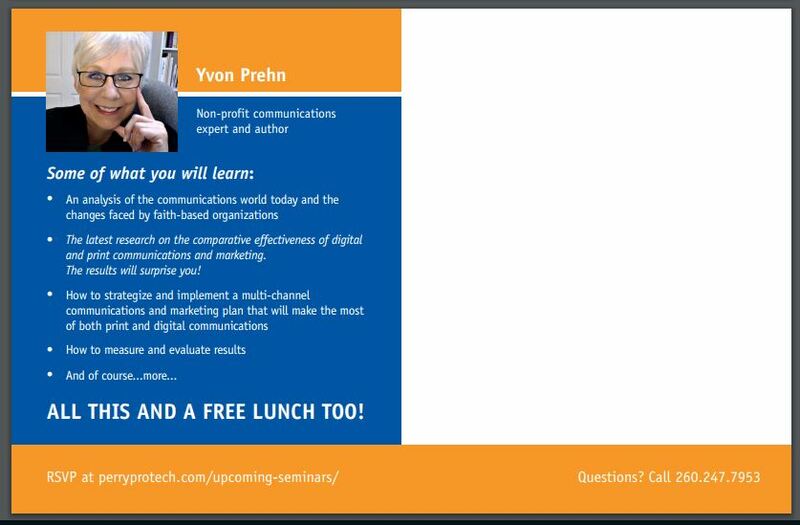 To get that file and an outreach email that goes with it to jump start a Lunch & Learn Sales Campaign this fall, CLICK HERE. 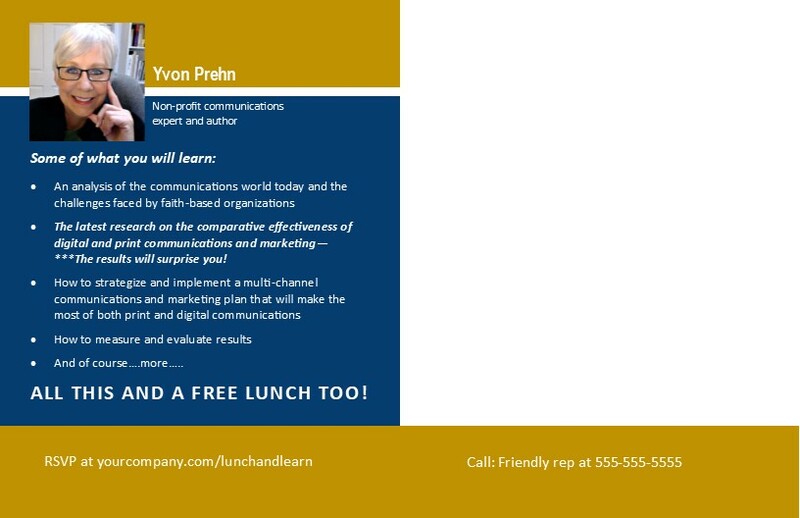 Stay tuned for more information on and details on putting on your own Lunch & Learn for Fall!